Adapting to new technology, the USB-COMi-TB USB to Industrial Single RS-422/485 Adapter is designed to take industrial serial communication port expansion to the next level. Industrial I/O communication port expansion is now an easy and convenient way to connect. Is automatically detected as a standard Windows COM port with no system conflicts. Ideal solution for Factory Automation Equipment, Bar Code Readers, Scales, or Data Entry Terminals. 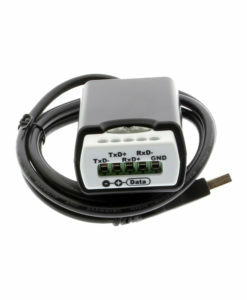 Uses DIP Switch control for RS422 or RS485 signal selection. The USB-COMi-TB USB to RS-422 485 Industrial Single Adapter is designed to make industrial communication port expansion quick and simple. Adapting the new technology, the industrial I/O communication port expansion now takes the new bus with easy and convenient connectivity. In connecting the USB-COMi-TB to an available USB port, the adapter is automatically detected and installed as a standard COM port. There are no IRQ & COM port conflicts, since the port doesn’t require any additional IRQ, DMA, memory as resources on the system. The USB to RS-422 /485 port functions as native Windows COM port, and it is compatible with Windows serial communication applications. 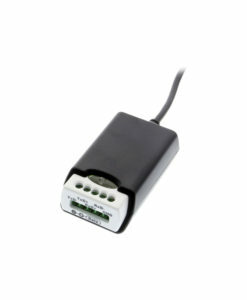 The Hi-Speed USB Industrial I/O Adapter provides instant connectivity to RS-422 or RS-485 communication devices for factory automation equipment, multi-drop data collection devices, barcode readers, time clocks, scales , data entry terminals, PC to PC long distance communications and serial communication in harsh environments. The USB Industrial I/O provides industrial solution for applications requiring single node or multi-drop communications over short and long distance.